Investing on land properties may be the most expensive investment you’ll make in your life. Thus, it is wise to attain a wider knowledge about estates and be aware of the significance of boundary surveying before making such investments. Let us first define boundary surveying. Well, boundary surveying is the verification of property lines of a parcel of land as detailed in the description in the deed. It also shows all the structures found in the property including any easements and encroachments, as well as all the restrictions imposed by local authorities. To avoid unnecessary expenses and free you from frustrations brought by unexpected lawsuits, it is vital to conduct boundary surveying ​Jasper before purchasing or selling a land property. 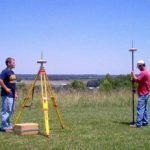 A survey is also highly suggested before subdividing a lot, building structures or improving the property to make sure that you would not end up moving a building or resolving a boundary dispute with neighbors. A boundary survey may also help you identify whether you are located in a floodplain, which is required in obtaining flood insurance. Boundary surveying ​Jasper is also very helpful in completing the requirements for a mortgage loan set by lending institutions, which includes the accuracy of the description of the property in the deed and the presence of improvements, easements, and any encroachments. The cost for boundary surveying ​Jasper depends on several factors. Most of which are only determined when the work betnn, such as size of the lot, the terrain, the vegetation type, the season of the year (which greatly affects the growth of vegetation). The work begins with the deed research that can be started with the deeds or abstracts that the landowner may possess and can extend as much as going to the courthouse and putting together the pieces of the deed. 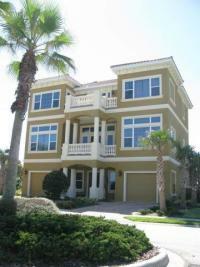 The job could get more complex if the property involved has been passed on several owners over the years. Some may have sold off a portion of the parcel or may have added the adjacent lots. The more of these addition and subtraction can significantly impact the complexity of the work to be done, which consequently adds up to the survey cost. After the boundary surveying ​Jasper is done, a landowner may expect to get a copy of the description of the property, a plan of the property, and a report illuminating the basis of judgements in the determination of the boundaries. It is also expected that proper markings of the property lines and corners have been placed, which are usually bright-colored ribbons or paint, wooden stakes, or concrete monuments. Others may include additional drawings or reports depending on the services agreed upon.